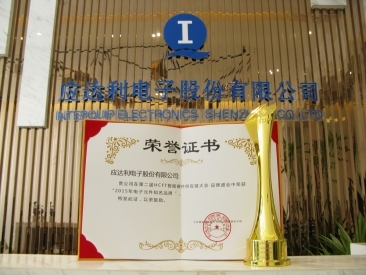 Congratulations on Interquip Electronics (Shenzhen) Co., Ltd. won the award of "The Outstanding Brand of Electronics Components in China Electronics Industry of 2015"
Interquip Electronics will participate in the Elexcon 2015 exhibition held between Nov 16 ~ 21 at the Shenzhen Convention and Exhibition Centre. It is an honor for us to have the privilege to invite you to visit us at booth number 2D07. Interquip Electronics Co Ltd will participate in the 41st Taipei International Electronics Show (Taitronics) held between Oct 6th ~ 9th in Taipei Nangang Exhibition Center, Hall 1. You are cordially invited to visit our booth at K0206. 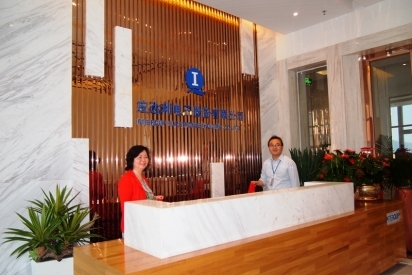 We are pleased to announce that as of Aug 8th, 2015, our Shenzhen sales office will be relocated from our Shenzhen factory address to the new location in Xixiang, Shenzhen. By taking full advantage of this relocation, Interquip Electronics is committed to put our utmost effort in providing the best frequency control components and services to our customers. We therefore would appreciate your continued cooperation and business with us. Interquip Electronics (Shenzhen) will participate in IIC Autum Electronics Fair held between Aug 31st ~ Sep 3rd at Shenzhen Convention & Exhibition Center. You are cordially invited to visit us at booth 3C29. Interquip Electronics will participate in EDS held between May 12th ~ 15th in Las Vegas. Interquip Electronics will participate in EDS held between May 12th ~ 15th at the Mirage Hotel, Las Vegas. We are pleased to invite all distributors and sales representatives to visit our EDS suite at A17 on the 26th floor of the Mirage Hotel. Should you wish to visit us during the EDS show, please feel free to drop us an email at philip@interquip.com to schedule an appointment. Interquip Electronics (ShenZhen) Co Ltd will participate in 85th China Electronics Fair 2015 held between Apr 9th ~ 11th in Shenzhen Convention & Exhibition Center at ShenZhen, China. You are cordially invited to visit our booth at B300 in Hall 9. 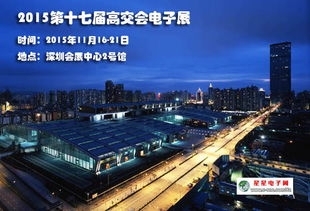 Interquip Electronics (ShenZhen) Co Ltd will participate in Electronica & Productronica China 2015 held between March 17th ~ 19th in Shanghai New International Expo Centre. You are cordially invited to visit our booth at 3583 in Hall E3.